Green Kegs and Hammered is taking over spots all over the city. Whether you just want to participate in one day or go all out with three, BarCrawls.com has a ticket option for every reveler! 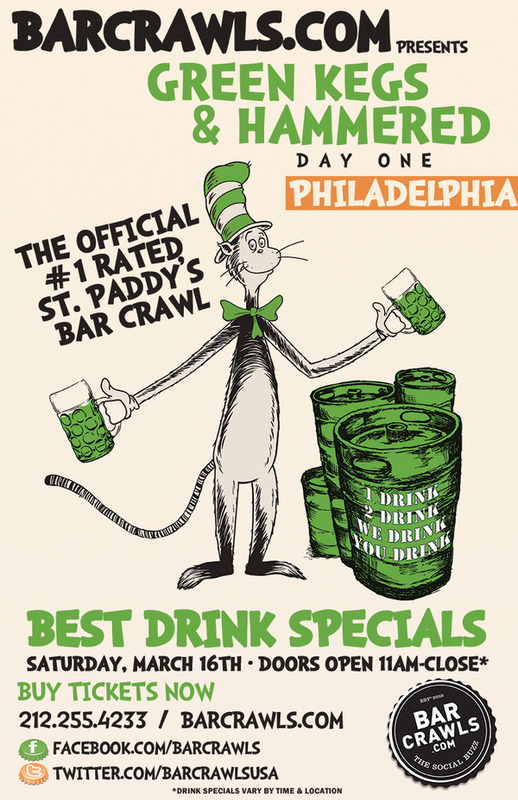 Choose from a One Day Bar Crawl Registration Ticket or grab the 3-Day Bar Crawl Pass which allows you access to all three parties from Friday, March 15th - Sunday, March 17th!